By now the dust is beginning to settle surrounding Blizzard’s questionably timed announcement of Diablo Immortal, which gives us a good opportunity to take a look at just what went wrong. If you missed the drama, here’s a super brief recap: Blizzard’s annual convention and celebration of all things Blizzard, Blizzcon, was held over the weekend. As is tradition, the event kicked off with the opening ceremony which typically serves two purposes: A bit of a state of the union for Blizzard and its various game franchises, and to make a bunch of announcements which often introduce the new games and content for existing games that will be on display at Blizzcon. Blizzcon grows larger every year, and this year the opening ceremony was spread across multiple stages in different parts of the convention center. Technical issues, audio drop-outs and other weirdness made it seem like they were shuffling around the order of the announcements on the fly, made obvious by them being forced to cut back to Hearthstone after a failed announcement earlier in the presentation. This reshuffling likely led to the Diablo Immortal announcement as the grand finale of the opening ceremony. The reaction that followed the unveiling of a mobile-exclusive Diablo title, was completely expected- As if there’s anything that the different sects of gaming can agree on, it’s that there’s nothing worse than mobile games. The unifying battle cry this created was unbelievable, with chronically outspoken drama hounds and vocal supporters of Gamergate even being seen as voices of reason in the fight against Blizzard. Redditors raced to find more things to vote to the top of the front page, resurrecting ancient Steve Jobs quotes, clips of legitimate 4chan trolls hassling Blizzard staff, and much, much more. The thing is, the game itself is actually really cool. We’ve got an in-depth hands-on and then an interview with the development team which both reinforce the fact that if you’re willing to leave your anti-mobile bias at the door and give the game a shot, you’re going to have a good time. NetEase and other Asian developers have created a bunch of different action RPGs which have ranged from decent to pretty good, with all of them ultimately falling flat on just how generic the world inside of the game is. Diablo Immortal combines a genre that works well on mobile, with controls that also have been proven to work well with games like Arena of Valor (or Honor of Kings in China), with a game universe that’s actually compelling. It seems like a winning combination. But where did they go wrong? Game development in 2018 in a general sense, is in a fascinating place. Cross-platform development environments like Unity and Unreal are normal tools that most developers use, which makes it reasonably easy for them to build a game once and then deploy it absolutely everywhere. Fortnite, for instance, is built in Unreal and is playable on basically every platform you’d ever want to play a video game on- From high-end PC’s to mid-range Android devices. Games are often developed with the full intention to slowly roll out the same game on different platforms- Even if each different version were actually completed and ready to ship at the same time. It’s a totally open secret in the game developer community that in order for a game to be accepted amongst Real Gamers, you must follow a very specific release cycle. It’s very, very important to release on Steam first, as Steam is a marketplace with vicious perception problems of anything that is available on other platforms, as clearly it isn’t a “real" PC game in that case. Games even get dinged on Steam for looking like they might be mobile games. So, you pretend that your cross-platform game is this killer PC exclusive, PC gamers are totally happy, and your launch goes off without a hitch. Then, you start rolling out to consoles, creating the assumption that the PC version is the “real" version, and the developer had to tone the game down the game to make it work on “inferior" platforms like the Xbox One or PS4. (Look no further than the different “PC Master Race" groups to see this in action.) Said game came out first on the PC, so no PC gamers get angry, and maybe even some of them buy it a second time because they want to play with Xbox Live friends. Once both of those release cycles have completely run their course, then you talk about a mobile version. Similar to console, this creates the assumption that the mobile game is an even more stripped down and inferior version than previous releases, which is fine because PC/console gamers already played a “better" version on their platform of choice. They’ll even often be convinced to buy the game a second (or third time) to bring it with them on the go. Launching a game this way keeps everyone happy, and often results in the same people re-buying, or telling their friends that they should get this game that they liked because it’s “finally" available on console or mobile. Launching a game, even if all versions are ready to go at the same time and it was originally intended to be a mobile game, any other way, is how you wind up in situations like the one Blizzard has found themselves in with Diablo Immortal. It’s super, super normal for us to go to conferences where games are being shown off by developers, see games that would make great mobile titles, and have developers scared to admit that they even have plans to launch on mobile. The anti-mobile bias is so strong that us even covering that a game might also be coming to mobile can be enough to damage sales on Steam. This is a big reason why this year in our PAX coverage we put up a bunch of videos for games that totally would work on mobile but we couldn’t get any kind of official confirmation just so we have something to link back to when they inevitably do. However, if you go back and look at how Hearthstone’s release actually played out, they swerved hard into the game initially being played as a beta on the PC. You barely saw any platform-related negative responses because it was PC first in 2013, and in the minds of most people Hearthstone was a PC game. When the iPad client launched in early 2014, again, the perception was, “Oh neat this PC game I enjoy playing on my PC is now on my iPad." In 2015 when it became available on smartphones, you saw a similar reaction. If, on the other hand, Blizzard had released Hearthstone in a reverse order, they would have been experiencing all the same flaming that Diablo Immortal has seen for committing the cardinal sin of releasing a free to play mobile game. 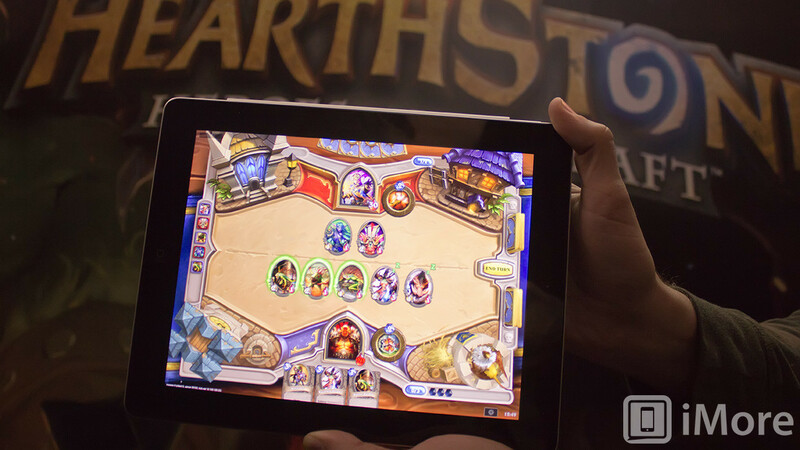 It makes zero sense, as Hearthstone was transparently always meant to be a touch-based mobile game. It’s free to play, built in Unity, has short session lengths, and endless different ways it can send you notifications to come back and keep on playing. It’s arguably even a worse experience playing it with a mouse. None of that matters though, because Blizzard followed the acceptable platform release order in the minds of Real Gamers. Had they done the same thing with Diablo Immortal, you’d likely see a small amount of grumping over it being free to play, but most people would be excited for a new Diablo pseudo-sequel. Then, when it eventually was released on mobile, PC players would be stoked that they could play a game they like on the go. It’s all a totally absurd mind game, and while Blizzard announcing Diablo Immortal as the finale of the Blizzcon opening ceremony without even a brief tease for Diablo 4 wasn’t the best idea, this reaction was completely inevitable because they failed to play to the acceptable release cycle schedule. It’s a mistake that anyone releasing a video game in 2018 should be careful to not duplicate, as the anti-mobile bias and resulting mobile stigma is real.